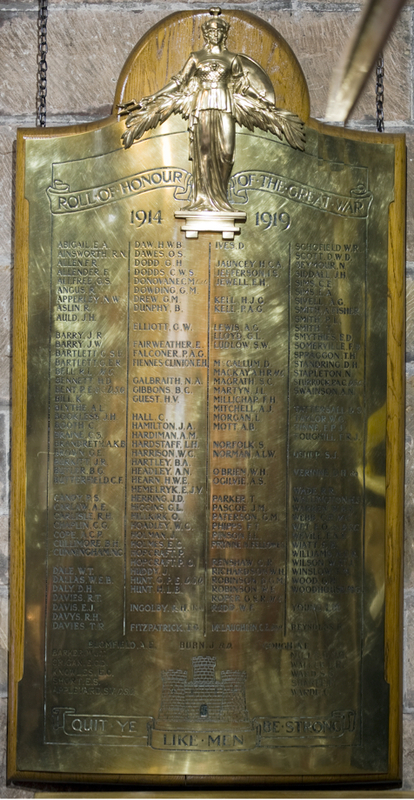 This lists the names of Old Conways who lost their lives in the war. In the Ship it was mounted in 1920 on the Lower Deck on the main mast behind the altar. It is now hung next to the Gulls window. Click here to see the complete list of names.